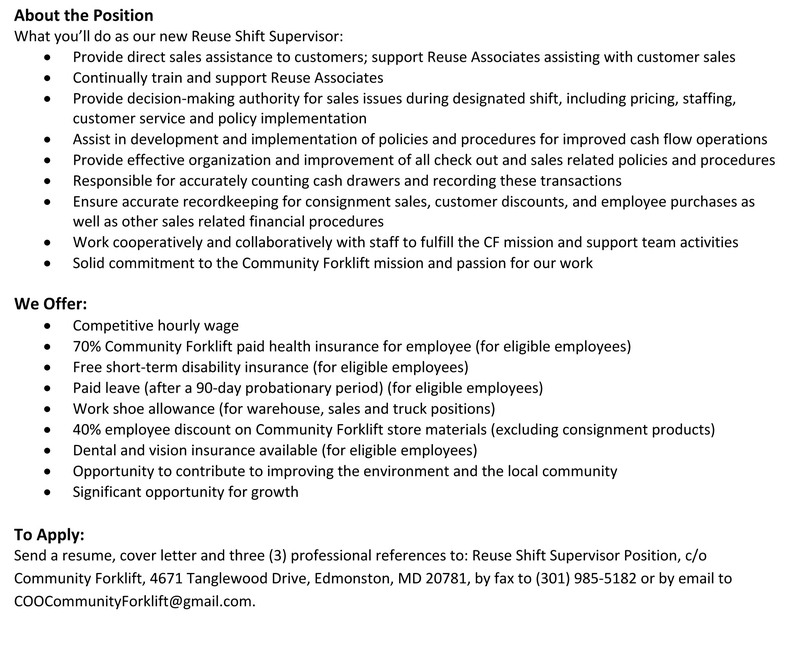 Home » Uncategorized » Know anyone looking for retail management work? Know anyone looking for retail management work? 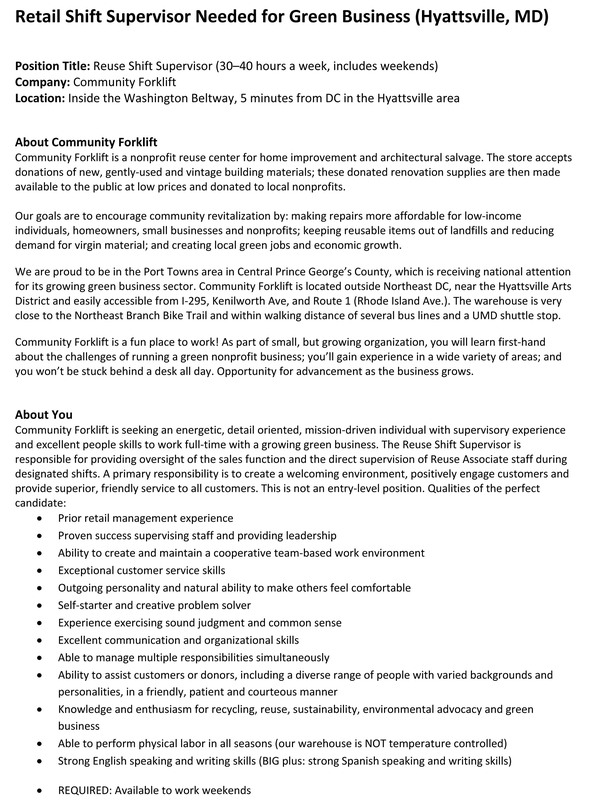 Community Forklift is seeking an energetic, detail oriented, mission-driven individual with supervisory experience and excellent people skills to work full-time with our growing green business as a new Retail Shift Supervisor! More details on our website.